2013 Harley-Davidson Road Glide Ultra, Beautiful Road Glide Ultra, set up with Vance & Hines pipes, performance air cleaner, and Dynojet Power Vision tuner along with shorty antennas, a tinted flip windshield, factory security, Anti-lock brakes, custom grips and pegs, and a driver backrest. 2013 Harley-Davidson FLTRU - Road Glide Ultra, GET THE BEST EXPERIENCE AND THE BEST DEAL IN THE UPSTATE! ONLY HERE AT HARLEY-DAVIDSON OF GREENVILLE. WE ARE YOUR UPSTATE HARLEY DEALER. DON’T JUST SIT THERE, RIDE IT! WE HAVE THE LARGEST USED BIKE INVENTORY AROUND AND WE WILL NOT BE UNDER SOLD. WITH OVER 100 USED BIKES IN STOCK WE CAN MAKE YOUR HARLEY DREAM A REALITY! SHOP US ONLINE AND COME IN FOR A TEST RIDE TODAY. EXPERIENCE THE HARLEY-DAVIDSON OF GREENVILLE DIFFERENCE. 2013 Harley-Davidson® Road Glide® Ultra The 2013 Harley-Davidson® Road Glide® Ultra model FLTRU is a premium feature bike for your motorcycle travel. This bike will give you long-haul touring features and custom style including, the GTX saddlebags, Tour-Pak, large 17-inch front wheel, high output accessory connector, cruise control, and comfortable motorcycle seat. An air-cooled Twin Cam 103™ engine provides powerful performance for passing, climbing hills and riding with passengers and luggage. Also take note of the frame mounted Harley® fairing offering you dual storage compartments plus wind protection for your motorcycle travel. The motorcycle seat on the Road Glide® Ultra model FLTRU model gives comfort to the driver and any passenger. Take a minute to learn more about all the features on this motorcycle. If you're looking for a Harley® touring motorcycle with a detachable Harley® windshield check out the Road King Classic model. Classic Fuel Tank Part of the unmistakable style of the Harley-Davidson® Road Glide® Custom motorcycle is plenty of room for showing off your paint. This classically styled, bold six-gallon fuel tank doesn't just give you a bigger canvas for premium or custom paint; it holds six gallons of go so you can eat up a lot more road between pit stops. We know fuel economy is important—but so is style. Sharp, eye-catching colors and crisp pinstripes that run the length of the bike from the Shark-Nose fairing to the premium GTX® saddlebags—a one-of-a-kind look for any individual soul. Twin Cam 103™ Engine Heritage The knowledge of what makes an engine truly move a rider runs deep at The Motor Company, and it was put to good use when we created the Twin Cam 103™ engine. We painstakingly perfected every cubic inch, pushing design and technology forward—all without compromising one bit of Harley-Davidson®'s unique styling. Evolved, yet carrying on the legacy of the Flathead, Knucklehead, Panhead, Shovelhead, Evolution®, Twin Cam 88® and Twin Cam 96™ engines that came before. The performance and durability are a direct result of the untold miles logged on the V-Twin since 1909, and the proud heritage that comes from a century's worth of commitment to life on two wheels. Harman/Kardon® Audio System Naturally, the king of the road gets some royal extras. This Road Glide Custom is a beautiful bike w/ many xtras. 25K miles. Chrome HD lower legs, HD fat bars, chrome everywhere. HD air cleaner kit, with full cobra exhaust and fuel moto tuner. Complete stereo with bluetooth, 6 speakers, 2 amps. Full led lighting w/ badlander. 2 front wheels with tires and brake rotors on both. HD backrest, luggage rack, as well as chopped tour pack. 4 point docking. Candy orange! Spare tank dash, as well as 2nd set of bags, lids, rear fender and surround, side covers, and front fender. Also have razor pack painted too! 2 windshields, tender, and heavy duty HD cover. Much more. Contact for more info. 2013 Harley-Davidson FLTRX - Road Glide Custom, Used Harley Road Glide Custom for sale in vivid black with blackout exhaust, black 16 inch ape hangers with RC grips, blackout exhaust with Screaming Eagle air intake and tinted windscreen. Check out this bike, loaded up and ready to ride! Used Harley Road Glide Custom for sale with 21 inch Mag Wheel! Vivid black with blackout exhaust, black 16 inch ape hangers with RC grips, blackout exhaust with Screaming Eagle air intake and tinted windscreen. Very sharp bike with all the extras! Crank up the tunes and hit the open road on this tricked out Road Glide! 2013 Harley-Davidson FLTRX - Road Glide Custom, BLOWOUT!!! 103 CUBES!! CUSTOM PAINT AND BARS!!! SOUNDS AWESOME!! THIS ONE IS LOCATED AT OUR SOUTH COLUMBUS STORE. CALL THEM AT 614-444-1600. 3 MONTH PROMISE WARRANTY INCLUDED WITH THE OPTION TO EXTEND! Introducing the one-of-a-kind "USA GLIDE. "VIN 1HD1KHM10DB627631The is a custom show bike designed by award winning builder Brian Jenkins of Hatred Customs and painted by Lucky Luciano Custom Paint. Biker Battleground's Paul Yaffee and VooDoo Bikeworks played a part as well.Highlight features include:7 degree ranked triple tree23" front wheelYaffe front fender, saddlebags, polished rotor, chupa fender frenched w/plate holder, headlight scowl, internal wired monkey bars, fork covers, stretched tank, silouhette seat for stretched tank+Rear tour luggage paint matchedLightning Strike parade and emergency flashers front and rearCustom LED night accent lighting w/fobHidden rear wedgy rear lightsHeated gripsGarmin GPS$1500 custom front wheelLegend air suspension High output charging system Every type of HD chrome we could find for the engineElectric center standRockford Fosgate RFXMR5BB Marine XM audio with two JL 600 amps and 6 speakers with VooDoo lidsThis is a head-turning $60k build that I no longer have the time to ride. Be prepared to be complemented and interviewed about this ride everywhere that you go. People love it! This beautiful Candy Orange 2013 HD RoadGlide Custom FLTRX has everything you need to cruise or to tour. Features a Jensen HD1BT radio made for HD bikes, USB port in the left-hand glove box, with a Rockford Fosgate amplifier and four Boom! Audio speakers up front. SiriusXM module installed in the Jensen with a great antenna for motorcycles. Saddleman leather bra (actual HD version on hand, new-in-box) to protect the perfect fairing paint underneath. Lower vented fairings (color matched) and removable King Tour Pak (color matched) with Airwing luggage rack and light, plus an inner liner. Saddlebags and glove boxes feature the liners also. Custom Dynamics LED lighting all around with strobing feature (configurable) for high visibility, especially from the rear. HD Daymaker LED headlights. Klock Werks low windshield, tinted. Heated handgrips. Chrome passenger boards, helmet locks on crash bar. Anti-theft alarm with siren and transmitter for remote pager (no remote pager not included.) Rider backrest is adjustable. Sundowner seat is one year old. Laydown and curved license plate holder. All fluids are fresh with Syn 3 in the crankcase and traditional HD oil in the trans and primary. Battery is from 2017 and always kept on a tender.Mileage as of this posting is 15058. Always stored inside in a heated garage and lifted off the ground with a battery tender and fresh fluids.Unmolested engine with Stage I air cleaner and Jackpot ceramic headpipe to eliminate the catalytic converter. HD FatShotz slip-on exhaust for a nice rumble but still EPA-compliant. Screamin' Eagle race (not street) tuner included. Tires, brakes and brake fluid are all new circa early 2018. Never a crash, dump or problem. User manual and Service Manual included. This bikes wants an awesome owner and will deliver the freedom and joy that only an HD RoadGlide can give. All stock parts (windshield, radio, exhaust system, saddle, headlights, etc.) are still on hand.Clear title in hand.Serious inquiries only, please. 2013 Road Glide Ultra, 41712 miles, garage kept and many extras. Detachable bracket on back of bike to go from slick to full touring in a matter of minutes whether you are riding solo or with a partner. Extras: 3 helmets (2 half and 1 full), Rainsuits, handwarmers for those colder rides, 2 motorcycle stands, motorcycle cover, 2 sets of highway pegs and bags for saddlebags/tourpak. 2013 Harley Davidson Road Glide Ultra. 2,800 original miles. Vivid Black paint with black custom powder coat accessories. Rinehart performance exhaust mufflers with K&N air filter system. 2 windshields, driver back rest, custom mirrors, luggage rack, tinted turn signals and performance lithium battery. Showroom condition and garaged since new. All receipts and service documents. Beautiful Blacked out Candy Orange 2013 HD RoadGlide Custom FLTRX with lots of extras -Stage II upgrade HD Screamin Eagle race tunerEdge cut High flow intake w K&N filterVance and Hines Pro Pipe 2-1 exhaust (matte black) with chrome tipsCustom wheels Black rear wheel with chrome rotor and pulleyBlack front wheel with chrome rotors, black calipers and chrome screensgloss black front endTouring comfortBlack 8” Road 8 Mini Ape-hangers with internal wiring and chrome switch capsBlack engine guard with highway pegsBlack Mid-Frame Air Deflector with chrome TrimHarley Hammock rider and passenger Touring seat (stock seat available)HD OEM removable King Tour Pak with matched paint and quick detach kit Quick detach Chrome 2-up luggage rack and passenger back rest Full size Harley touring luggageBoom audio 2-way front speakersSaddlebag mounted Rear speakersiPod/iPhone interfaceHidden antennaCustom lightingHD Daymaker LED headlampCustom LED tail light and turn indicatorsWhite LED with remote Black with Edge cut accessoriesShifter armsShifter linkage MirrorsCenter console, gas lid and ignition switchDerby and timing coversSaddle bag latchesHorn coverStreamliner accessoriesHand gripsHighway pegsPassenger floor boardsShifter pegs and brake pedal Approximately 16,000 miles with service performed recently. All fluids are fresh with Syn 3 in the crankcase, trans and primary. Battery is from 2017 and always kept on a tender. Never a crash, dump or problem. Clear title. This bike wants a new owner and will deliver what only a Custom RoadGlide can give. CVO Road Glide Custom, this is how you take the road with power and style!A shark-nosed touring beast packed with premium technology, luxury, and plenty of street appeal. This is how you take the road with power and style. The 2013 Harley® CVO™ Road Glide® Custom model is ready to take you down the road in touring comfort and Custom Vehicle Operations™ high-end style. Individually crafted and hand finished high-impact paint and graphics come standard on this H-D® CVO touring custom motorcycle. For 2013, the CVO Road Glide Custom FLTRXSE2 model comes in a limited availability, serialized 110th Anniversary Special Edition, featuring exclusive commemorative anniversary styling elements and premium features that make it a top-of-the-line model and a true work of motorcycle art. The CVO Road Glide Custom model for 2013 comes in several custom paint schemes, each of which have plenty of matching paint on the Tour-Pak® carrier, saddlebags, fenders and more. Its heart is the powerful 110 ci Twin Cam 110™ engine with Screamin' Eagle® badges. 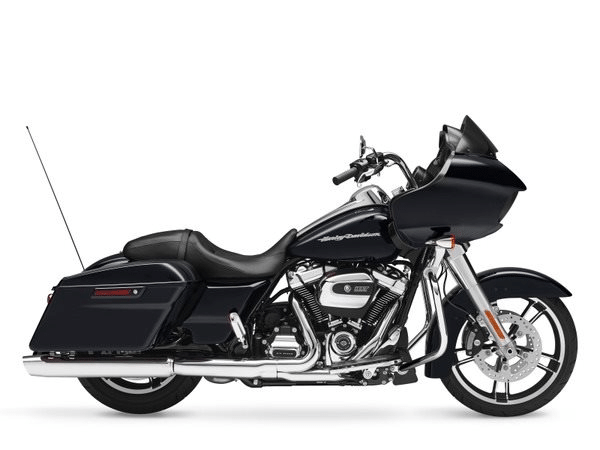 New on the Road Glide Custom CVO model for 2013 are a hidden antenna, a bright LED headlight and fat-style, blacked-out ergonomically-designed handlebars. The large agitator wheels add to the unique style of this CVO touring custom motorcycle. For your long-haul needs, the Custom Vehicle Operations Road Glide Custom model has stretched-bottom saddlebags so you can securely bring your possessions along on your ride. The shark-nose fairing offers wind protection and houses the in-fairing tweeter and 100W per channel amplifier that offer high quality audio to accompany your ride, with an iPod and iPod interface for enjoying your own music. Learn more about the CVO Road Glide Custom model and the other Harley CVO bikes. Take a look at each of the features of the CVO bikes and learn more about the CVO Ultra Classic® Electra Glide® model with Twin Cam 110 engine performance. 2013 FLTRX w/ dealer installed 120r HD crate engine - Thundermax auto-tune tuner to maximize performance of engine - HD race clutch and SE clutch plates - 58mm throttle body with 5.3 g/s fuel injectors - high flow intake w K&N filter and rainsock - Rinehart Xtreme trual-dual exhaust (matte black) with chrome tips18.5" rear Agitator wheel with brand new tire at 25k service19" front Agitator wheel - front end lowering kit - front Progressive mono-tube shocks - dual Agitator matching rotors - gloss black front end12" Ape-hangers and internal wiringchrome switch capsHD OEM inner fairing paint (not stock in 2013)Boom audio hidden antennaPaul Yaffe Hidden Fairing support barJensen HD1BT deck (rear speaker wiring and USB aux port included in sale but not installed - NO cd deck on this sealed unit) Stock front fairing speakersApproximately 14,000 miles on the 120r engine. 25k service performed recently. Battery is less than six months old.Rear tire new as of 25K service.Clear title and I am the original owner of this motorcycle. No drag drops have tortured the transmission.4/12/2019 motorcycle is still for sale.  2013 Harley-Davidson FLTRU - Road Glide Ultra, Used Road Glide Ultra for sale! This one is perfect! Used 2013 Harley Road Glide Ultra for sale for only $10,999! Check out this Road Glide in pearl white and vivid black two tone paint, blacked out front end, upgraded speakers, fat front tire, and more! Great bike for the money!